"We absolutely adored everything about Chianti. Fantastic location. Fully equipped with everything you could think of in the kitchen. Beautifully furnished. We loved it! 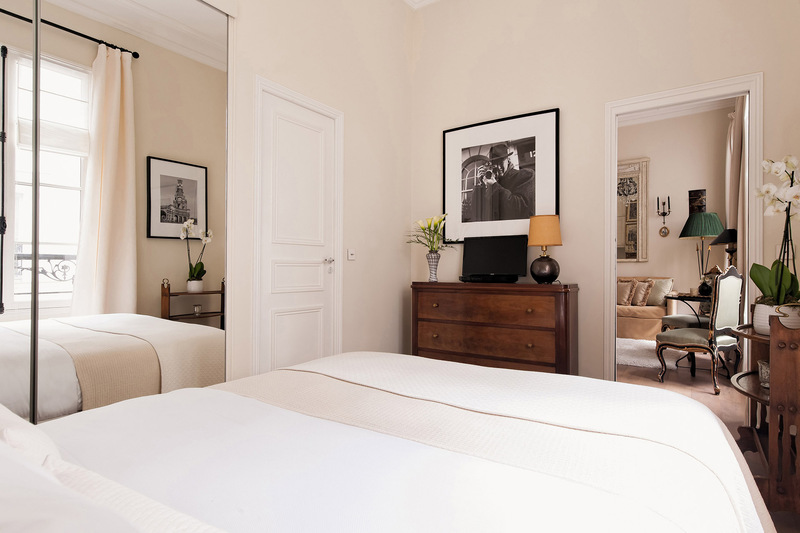 We cannot wait to come back...."
"Both Paris Perfect & the Chianti apartment were wonderful. The Paris Perfect Team & process made life easy. They set up Victor Taxi pickup at CDG & a Greeter at the apartment. Within 2 hours..."
"We would like to thank all team of Paris Perfect! We just love our stay at Chianti apartment! It has everything what we needed, it was clean, cozy, comfort and just perfect location! 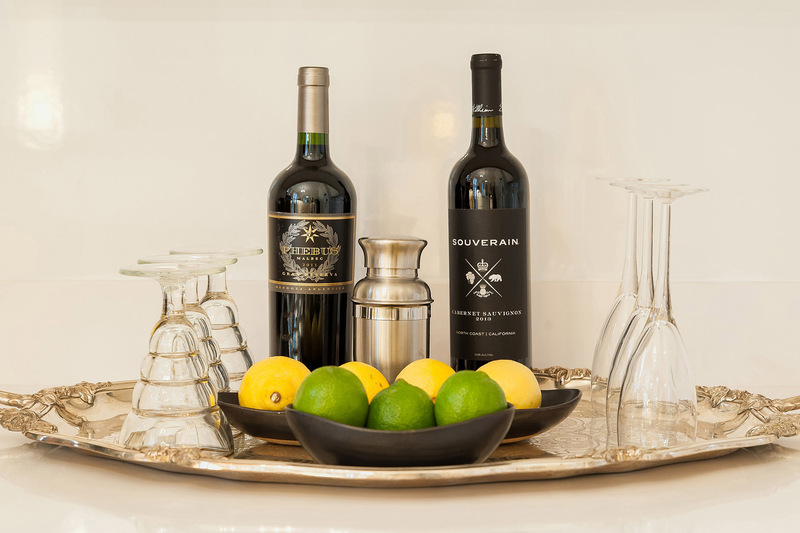 We could really..."
"Chianti was the perfect home to rest after a day of enjoying Paris. The location was absolutely the best. We spent many nights enjoying our walks along the Siene River. For our more tourist days, we..."
"We loved our stay at Chianti! Great location, apt very well equipped for our needs. Spotless and beautiful. Info was very useful. Excellent and very responsive team. A real pleasure to meet Daniele..."
Spend enchanting days exploring the best museums Paris and romantic evenings meandering alongside the Seine. 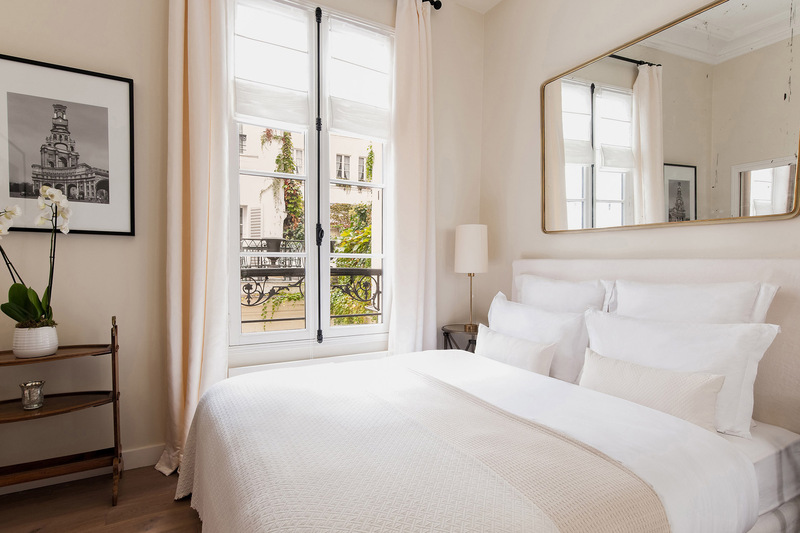 These adventures and so many more are at your fingertips at the Chianti, an elegant one bedroom, one bathroom vacation rental with a dreamy setting in the stunning 7th arrondissement. 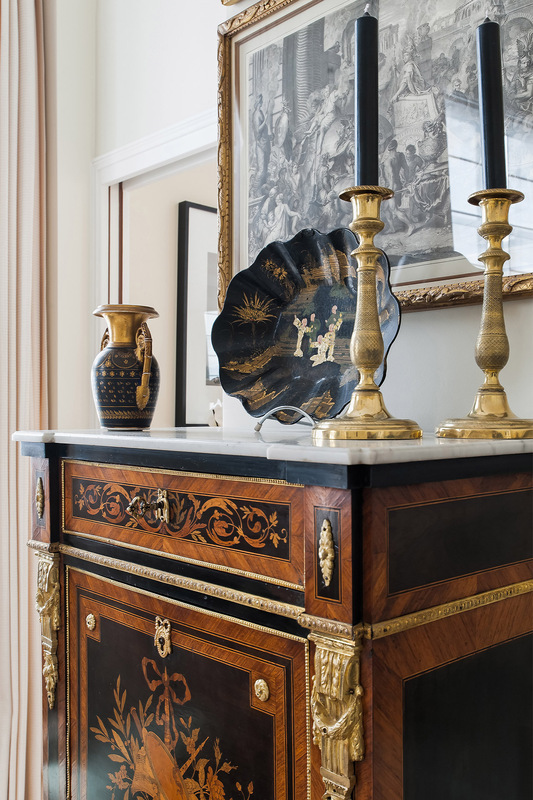 Step inside to find a bright and beautifully designed décor accented by classic furnishings and antiques. 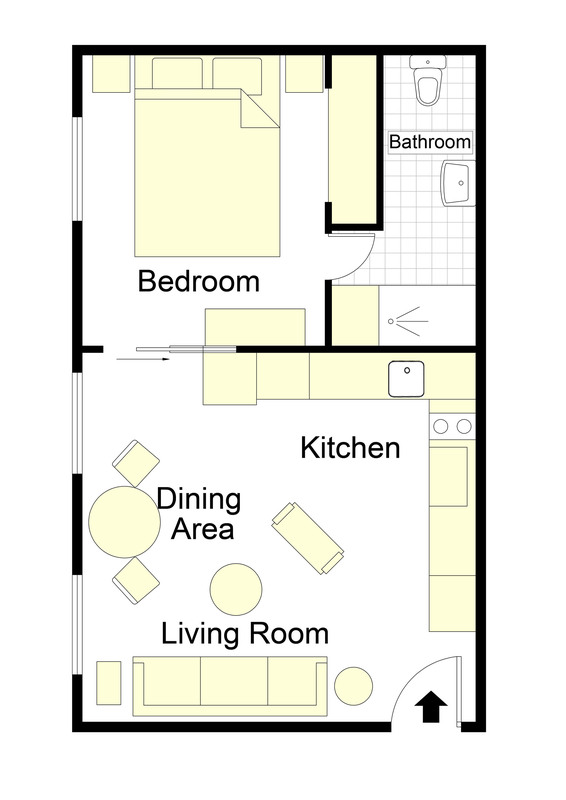 Relax in the delicately appointed living area with soft sofa, towering ceilings and a welcome flood of natural light. Prepare Parisian inspired meals in the open plan kitchen to enjoy at the table for two that's perfect for intimate meals. 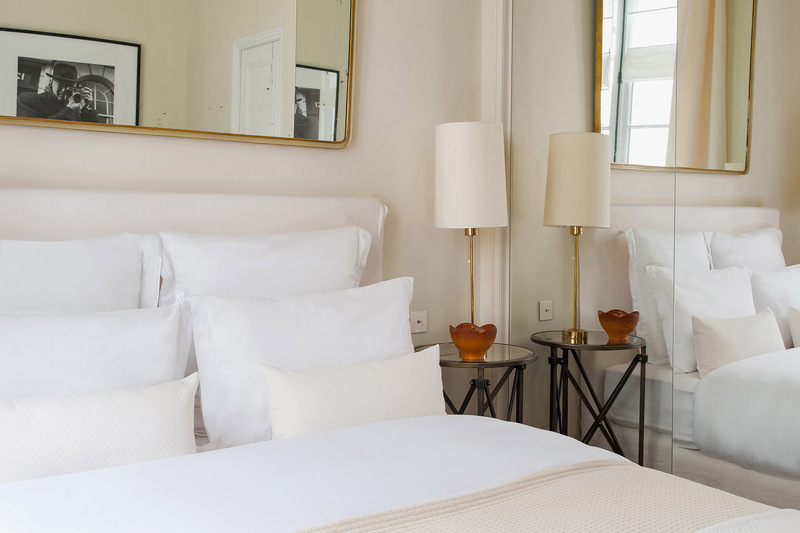 After a full day of exploring the culturally rich neighborhood, retreat to the beautifully decorated bedroom, which features a pile of soft pillows and linens, a flat-screen TV and a bright adjacent window for sunny wake-up calls. 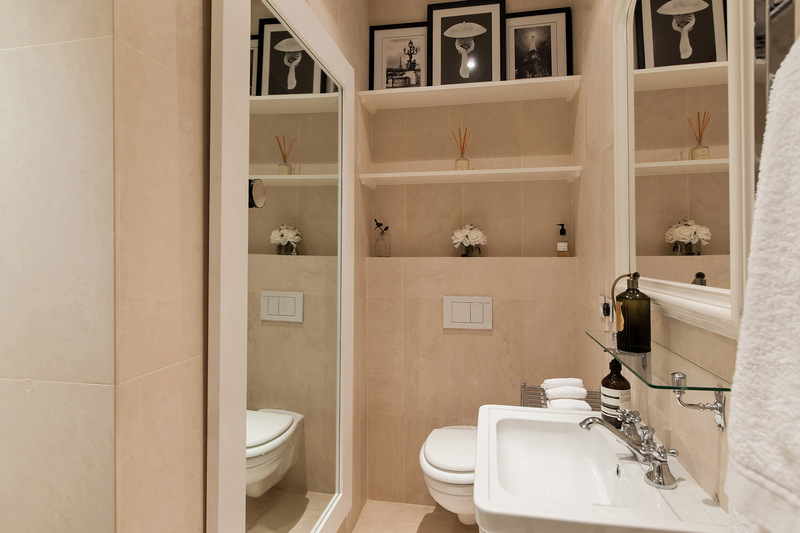 The nearby bathroom mirrors the bedroom's warm and polished atmosphere, with muted tile throughout, and a step-in shower with rainforest showerhead. 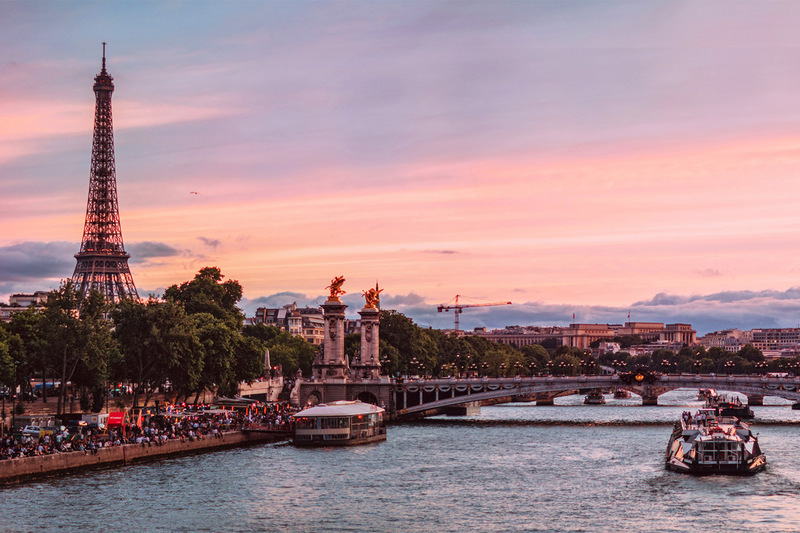 Settled on a quiet street not far from the Seine, spend your days exploring the Musée d'Orsay, the Louvre and stunning Tuileries gardens, as well as a host of monuments and attractions. 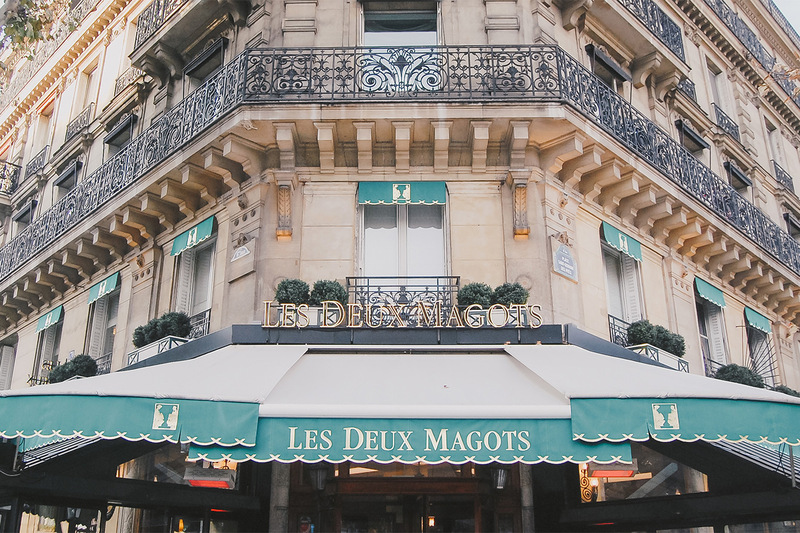 Enjoy a collection of quaint cafés and upscale shops in the classic neighborhood, which is wonderfully close as well to the top sites of and fabulous shopping of the Saint-Germain neighborhood in the 6th arrondissement. With a wealth of art, culture and museums found in all directions, you'll be steps away from new discoveries and explorations on a daily basis. 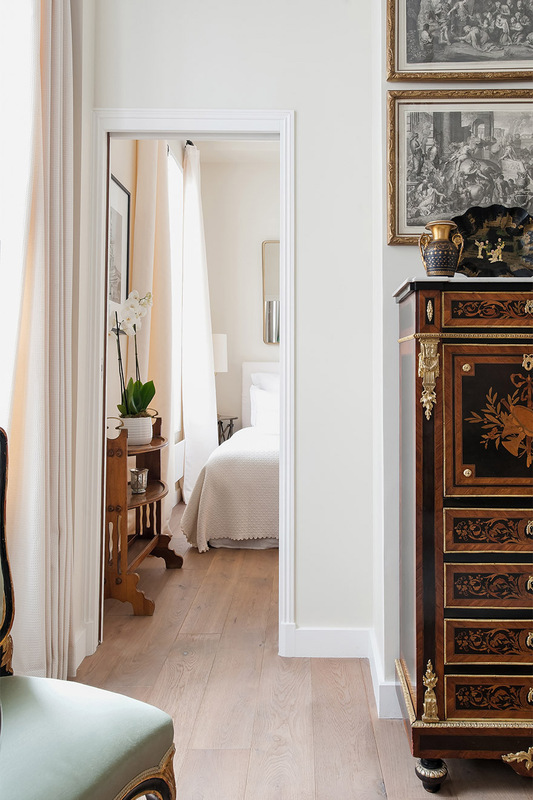 The Chianti is a favorite Parisian home away from home for art lovers, romantics and any Parisian traveler who appreciates a refined vacation rental in the heart of Paris' cultural scene. Bedroom: features a queen bed (160cm x 200cm) and faces the courtyard. 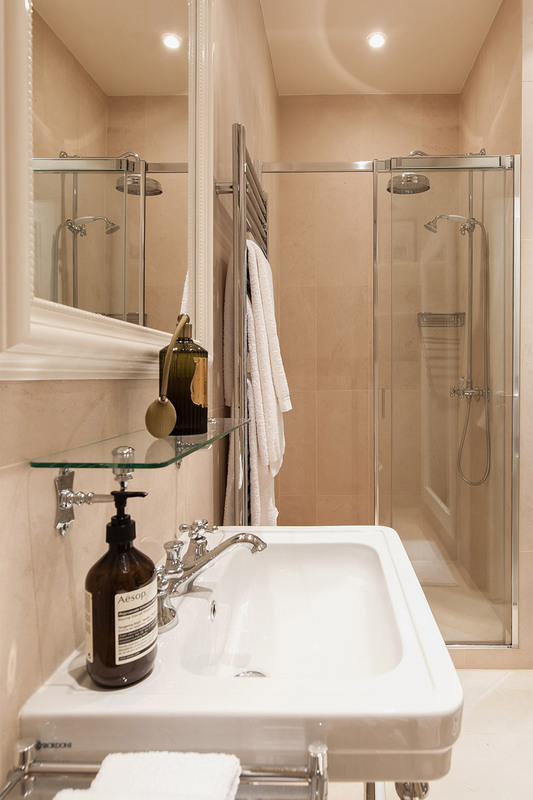 The bathroom features an Italian shower, sink and toilet. 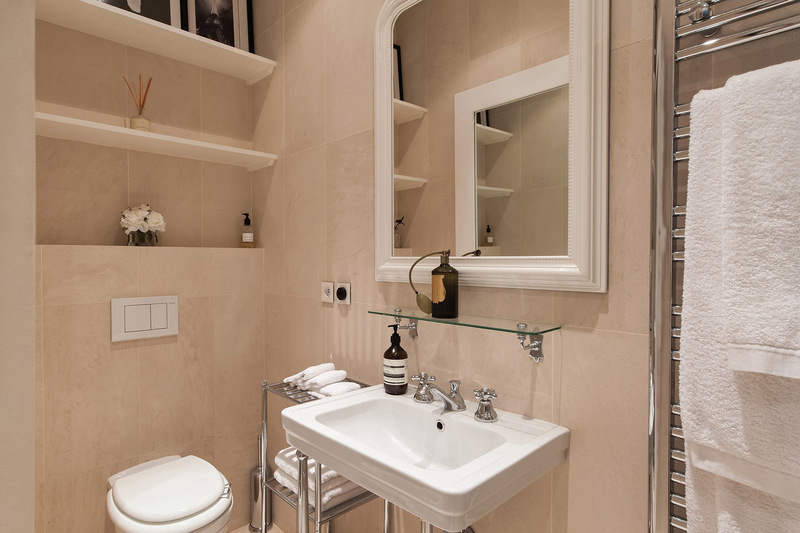 We hope you had a wonderful stay in our Chianti apartment. Please take a moment and click here to share a review of your experience with us. "We absolutely adored everything about Chianti. Fantastic location. Fully equipped with everything you could think of in the kitchen. Beautifully furnished. We loved it! We cannot wait to come back. 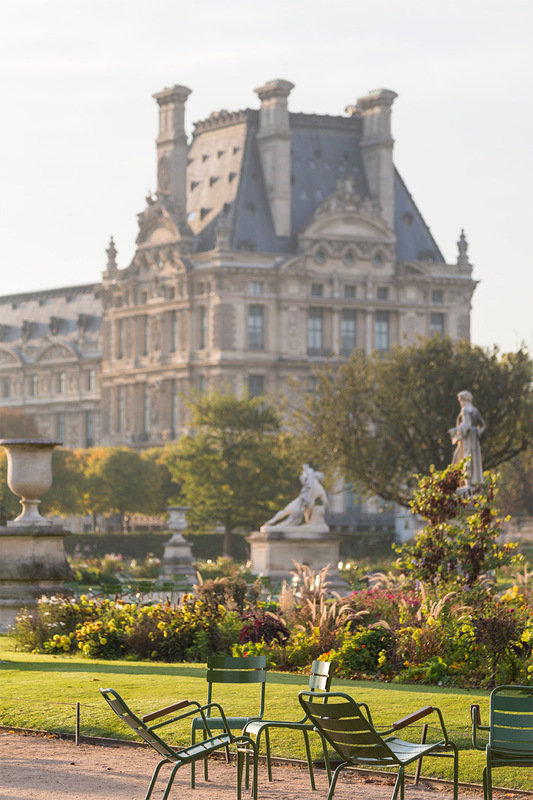 We recommend Paris Perfect to all our friends. Best experiences every. 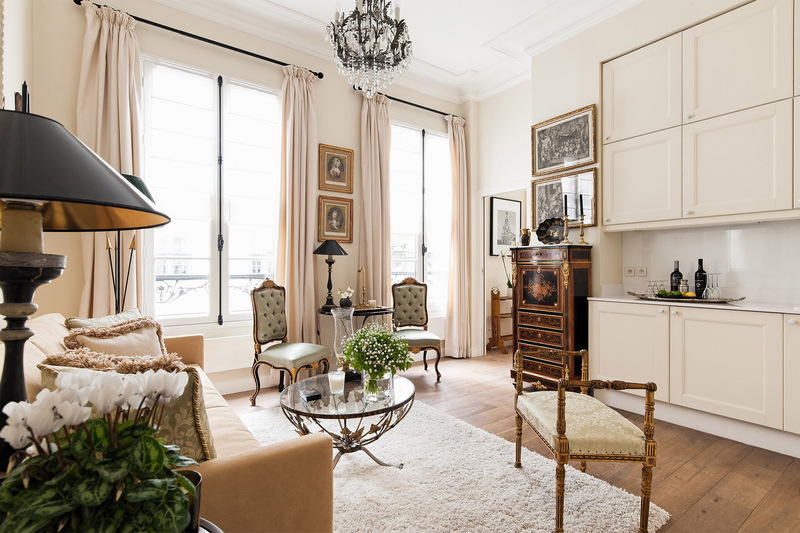 dirrent apartment in the..."
The Paris Perfect Team & process made life easy. They set up Victor Taxi pickup at CDG & a Greeter at the apartment. Within 2 hours of landing we were happily nestled in Chianti's very comfortable bed recovering from jet..."
"We would like to thank all team of Paris Perfect! 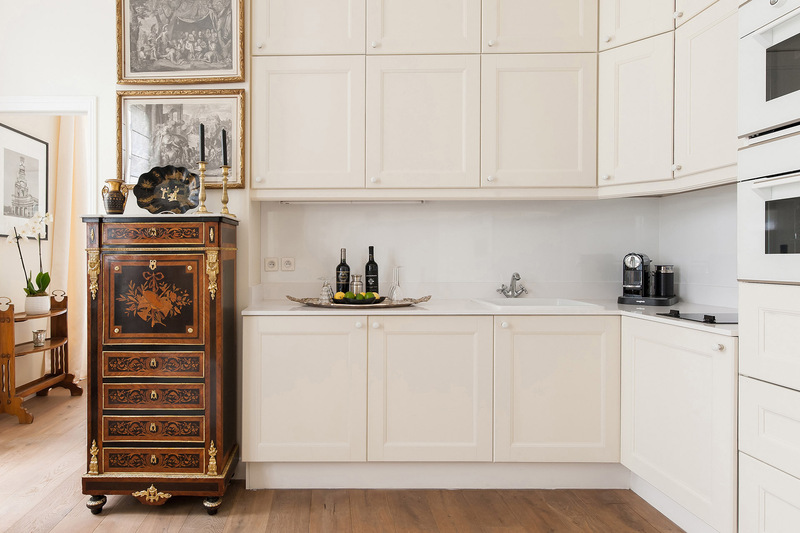 We just love our stay at Chianti apartment! It has everything what we needed, it was clean, cozy, comfort and just perfect location! 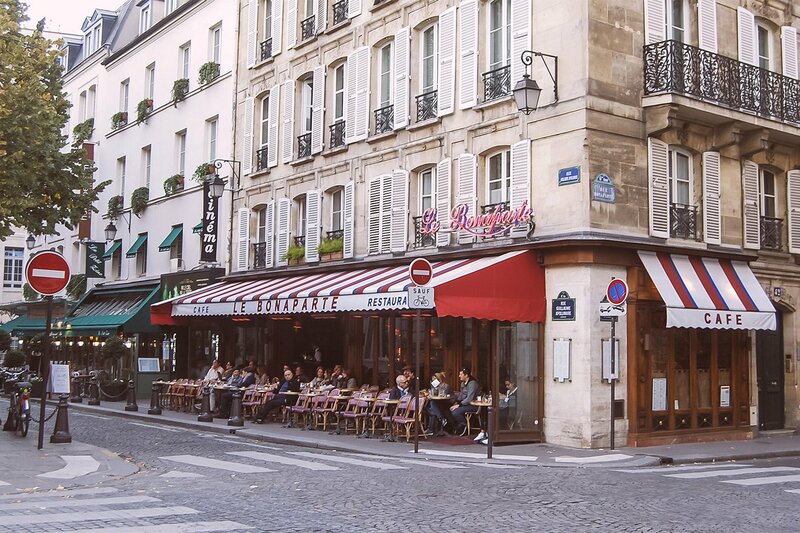 We could really feel as a Parisienne! Welcome basket and small gifts was a nice touch! 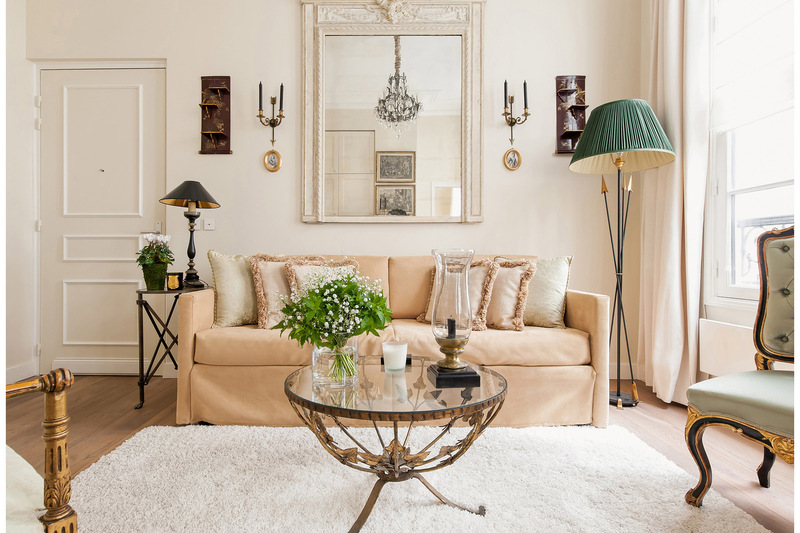 "Chianti was the perfect home to rest after a day of enjoying Paris. The location was absolutely the best. We spent many nights enjoying our walks along the Siene River. For our more tourist days, we had a short walk to the RER as well as the Batobus. What a beautiful view of the city as you move..."
"We loved our stay at Chianti! Great location, apt very well equipped for our needs. Spotless and beautiful. Info was very useful. Excellent and very responsive team. A real pleasure to meet Daniele and Brigette. We hope to return one day soon!" "It was such a beautiful experience. Since I reserved the apartment until I closed the door leaving, everything was perfect. 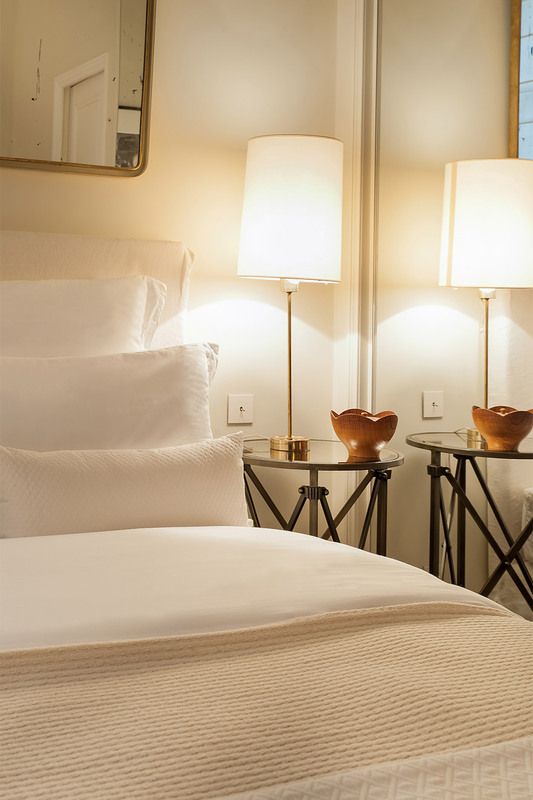 The service was exceptional and the apartment was impecable. It was how I dreamed my stay in Paris to be. Thank you for a great experience. I can only recommend that..."
"Thank you so much for a wonderful time at Chianti. I am back home now and missing Paris so much. "I just wanted to write and thank you so much for a wonderful time at Chianti. I am back home now and missing Paris so much. Staying at the Chianti made my trip even more special. Having Rosa greet me when I arrived was so nice. She was super friendly and kind and showed me all around..."
"A beautiful apartment with all amenities in an ideal location with superb, accessible shops and supermarket." "Delightful apartment in a perfect neighborhood. Cozy and light. 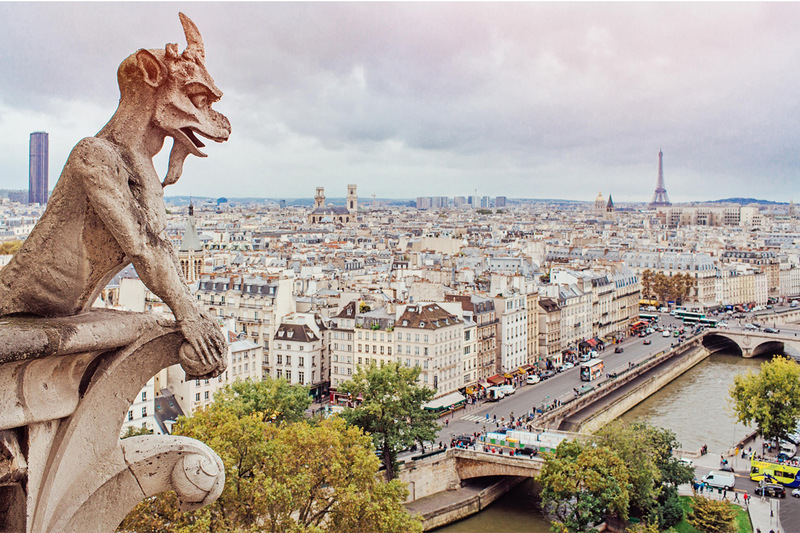 Simply made Paris Perfect. "Wonderful apartment with a perfect location. The apartment had everything we needed in a wonderful location, central to everything but not in a touristy area, you still get the feeling of living in a Parisian neighborhood, with a boulangerie, bistros, petit marche, etc just one block away. To top..."
"We had a great stay at the Chianti apartment. 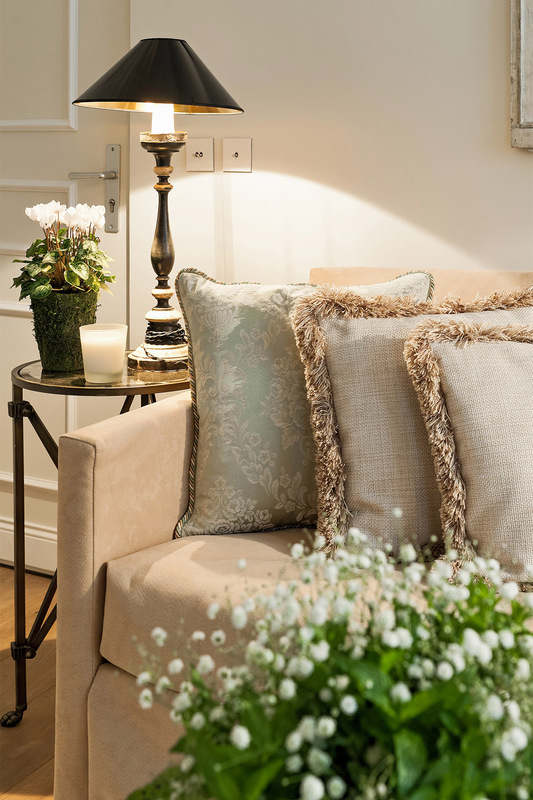 As we are an older couple we wanted a quiet apartment where we can relax and enjoy a peaceful afternoon indoors. 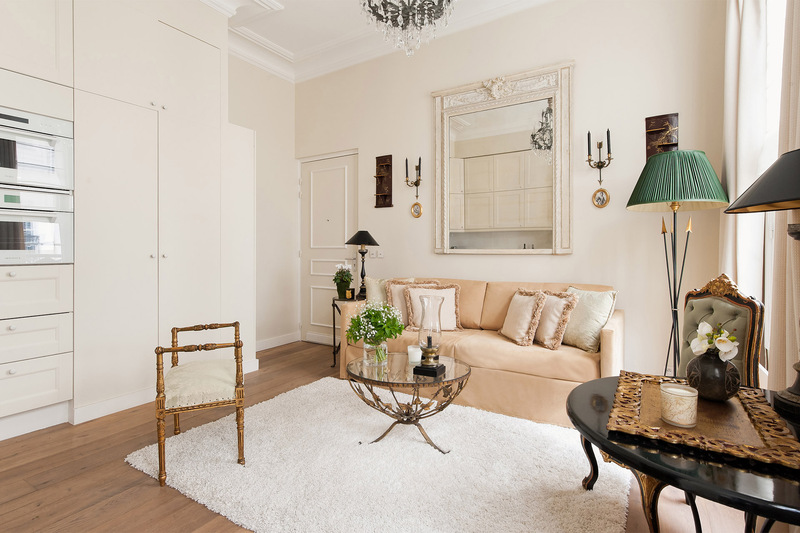 The apartment is beautifully and elegantly decorated, still comfortable with everything we needed." "What a beautiful apartment! The high ceilings made the one bedroom apartment feel very spacious. The décor is exquisite and the location is great. Minutes from the Louvre, Musee d' Orsay one of my favorite museums in Paris. 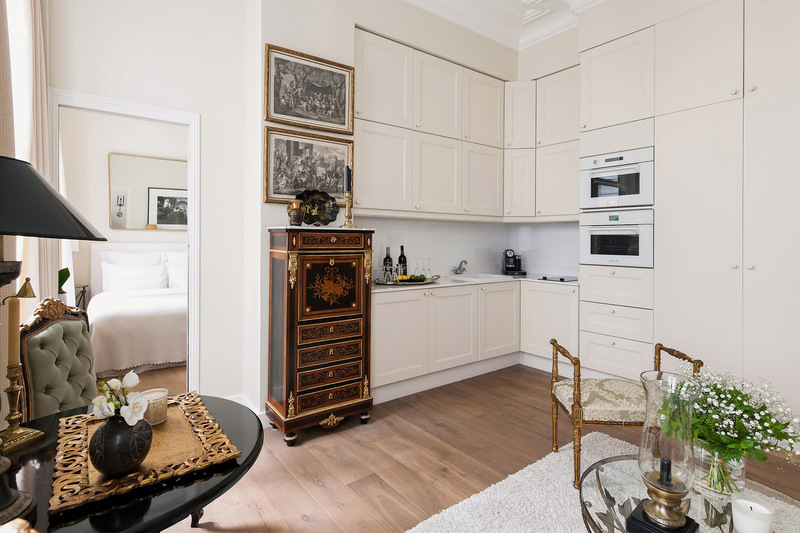 Boulevard Saint Germain is only a 10 minute walk and is lined with..."
"Our stay in Chianti was without problem or issue, as usual Paris Perfect has got it right. The position of Chianti is perfect for a relaxed week in Paris wandering from Bistros to small & interesting shops to Galleries and Markets. We are already planing our next week away in Paris (Perfect)"
"We had a wonderful stay. 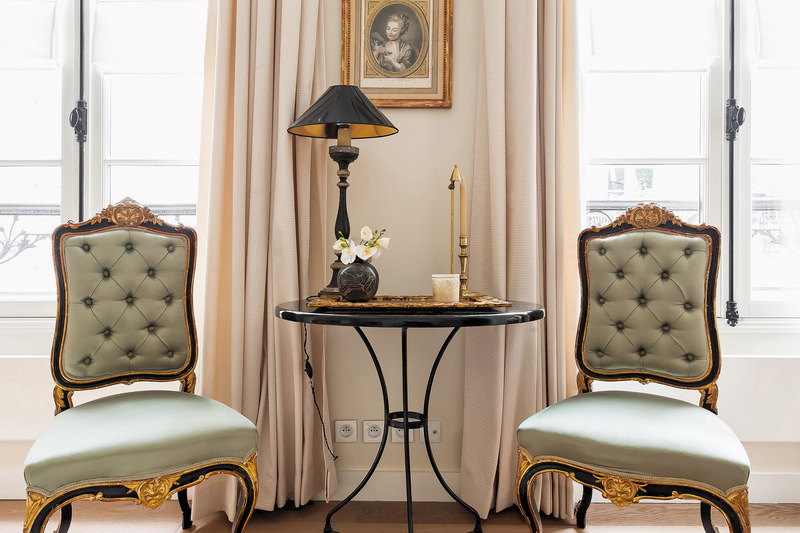 Paris is divine and the apartment was a perfect home base. Everything we needed and more. Thank you Paul and Paris Perfect. We cannot wait to return"
"I hope this email finds you well. 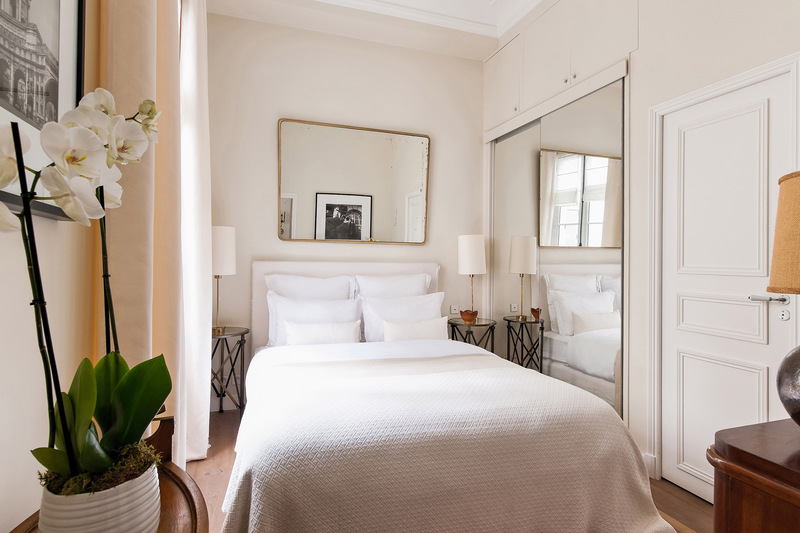 I recently stayed with Paris Perfect on my trip to Paris a couple weeks ago and absolutely loved it! It could not have been more of an amazing first Paris experience! The apartment was simply â€œperfectâ€. We stayed in the new Chianti..."
"We had a wonderful stay. 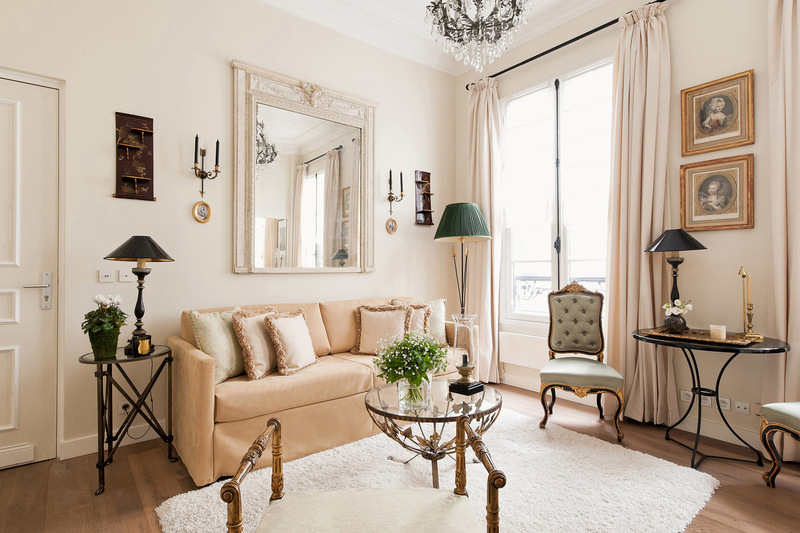 Paris is divine and the apartment was a perfect home base. Everything we needed and more. Thank you Paul and Paris Perfect. we cannot wait to return." 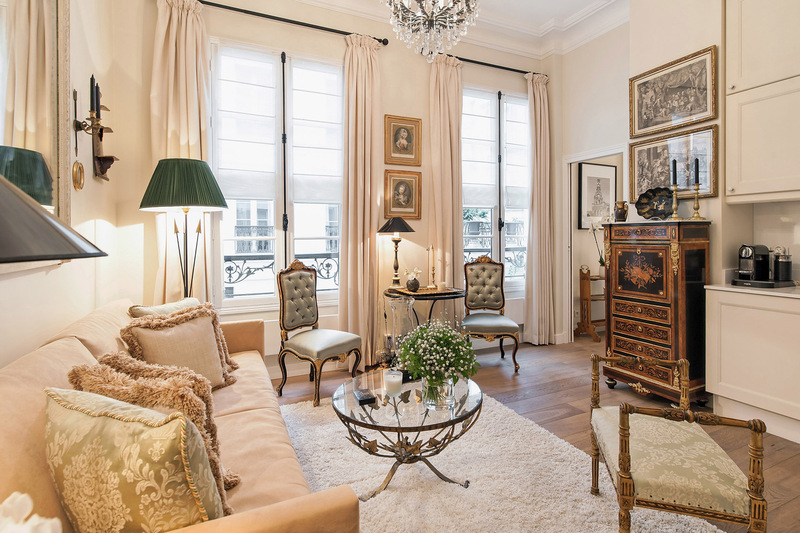 Located on the Left bank in the sought-after 7th arrondissement, this vacation apartment rental makes the perfect central Paris accommodation. 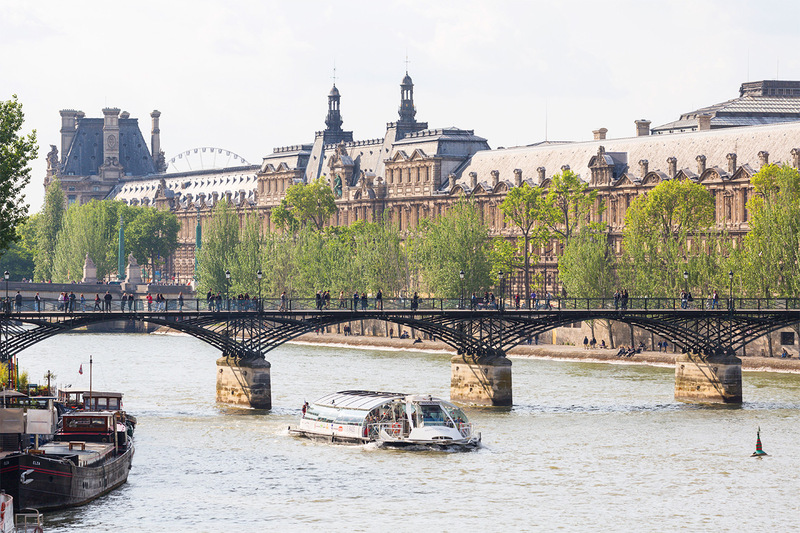 Visit the famous Musée d'Orsay, home to the world's best collection of Impressionist paintings. 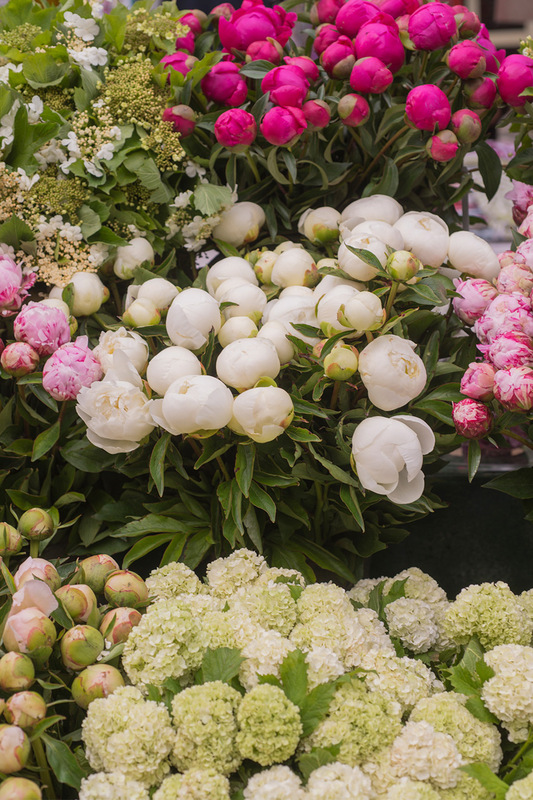 For art lovers, the Chianti is across the Seine from the Louvre Museum and beautiful Tuileries gardens. 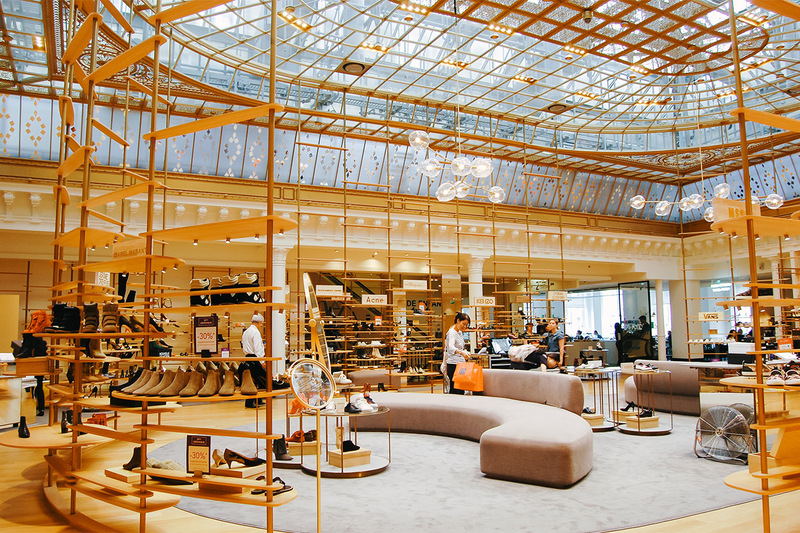 Walk to the historic literary cafés at Place-Saint-Germain-des-Prés and discover the fabulous shopping of Saint-Germain. Charming open-air markets and market streets abound, as well as cafés, brasseries and restaurants. 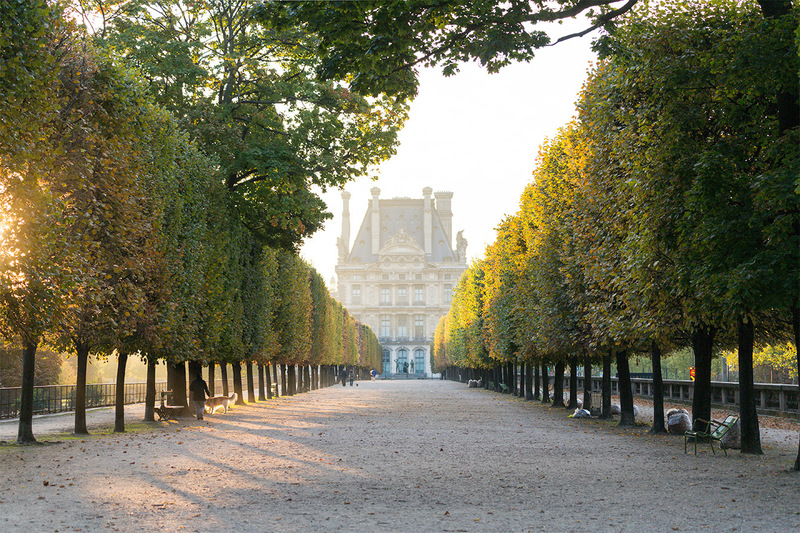 Enjoy easy transport around Paris thanks to the nearby Metro, RER and bus routes. 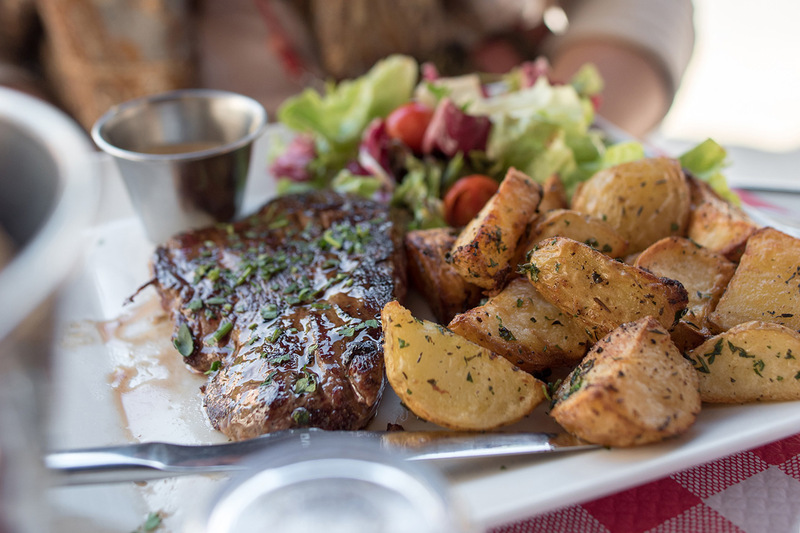 The best of Paris is at your fingertips at the Chianti! 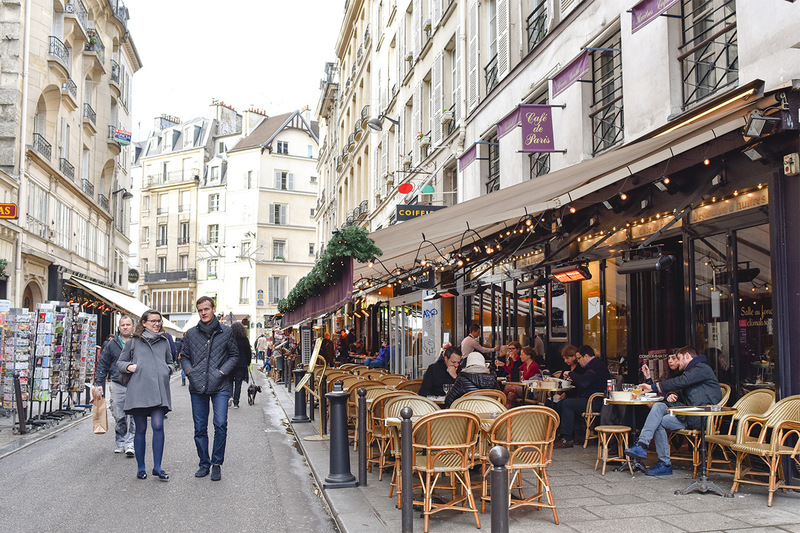 Boulevard Saint Germain (10 min walk): Packed with cafés, famous restaurants, and unique specialty shops. Metro: Solférino (6 min walk); Rue Du Bac (10 min walk). A table made just for two, perfect for dining at home! 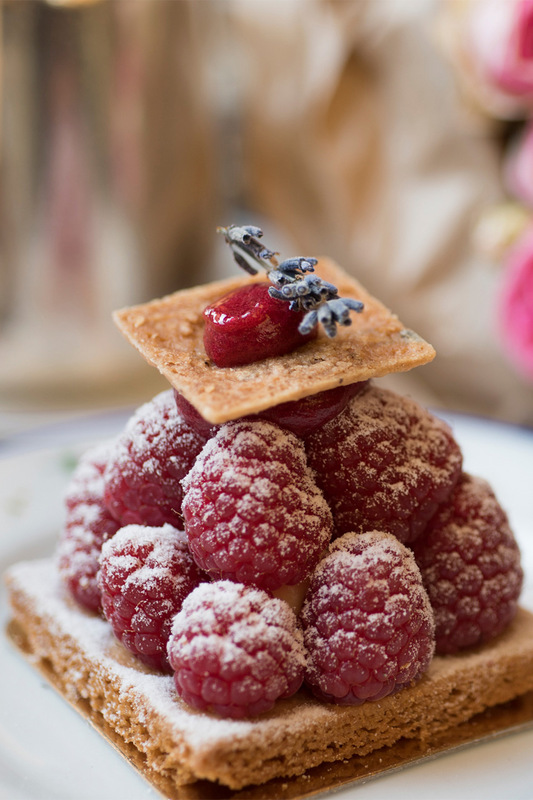 Authentic Parisian patisseries...Need we say more? All of this is waiting for you in the City of Light!